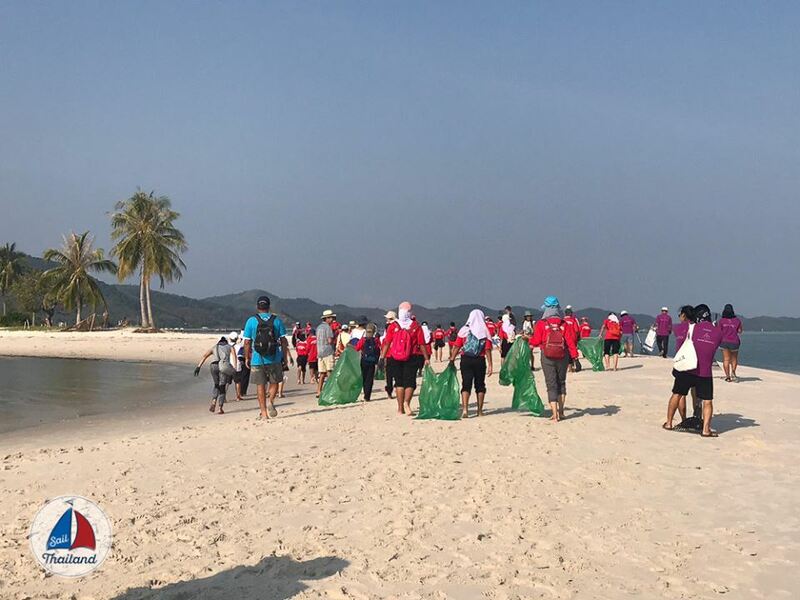 30 children of Banthakao School and 8 staff from Six Senses Yao Noi, they spent 2 hours cleaning up Laem Had Beach. 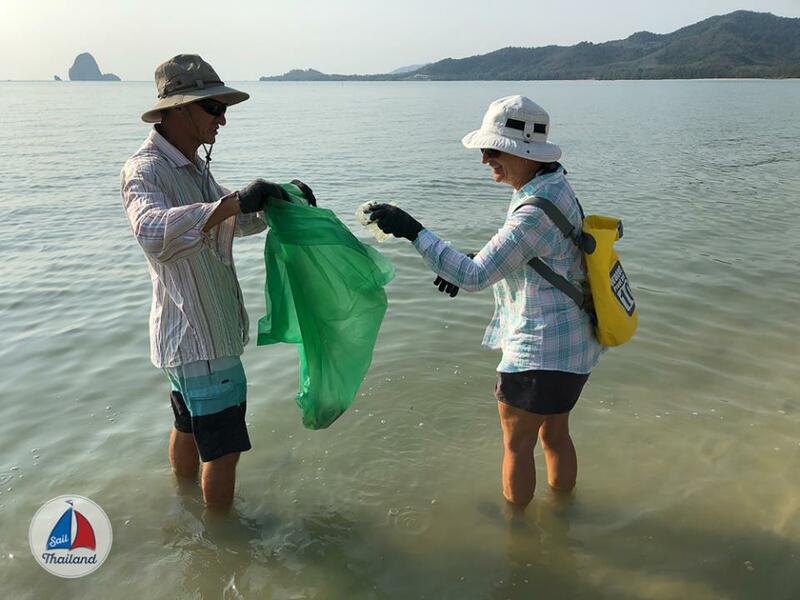 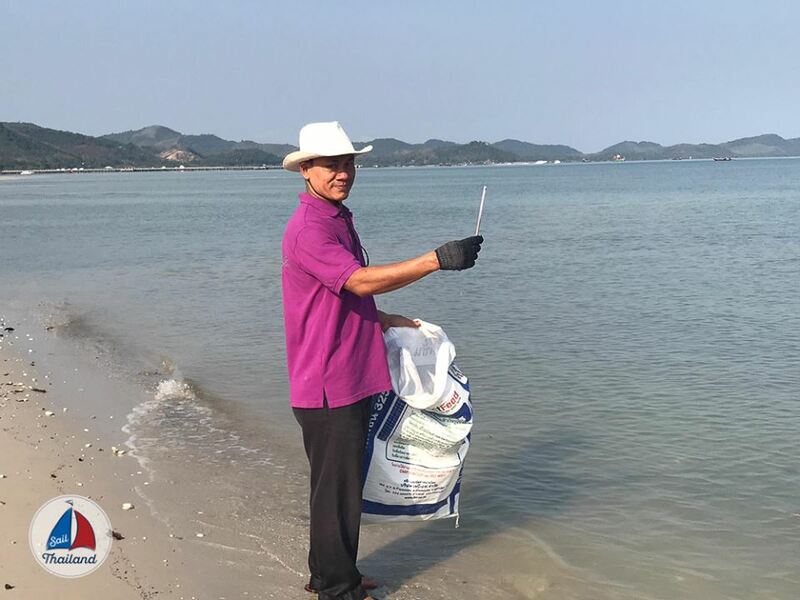 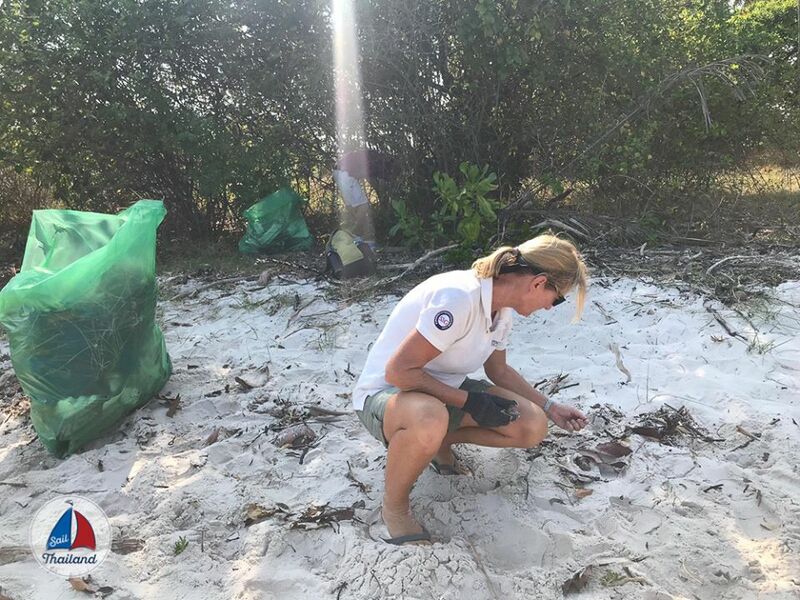 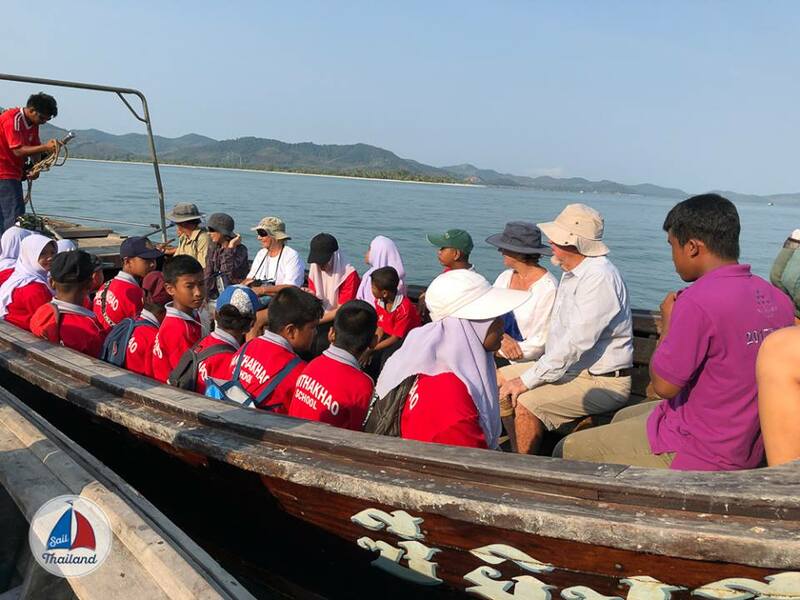 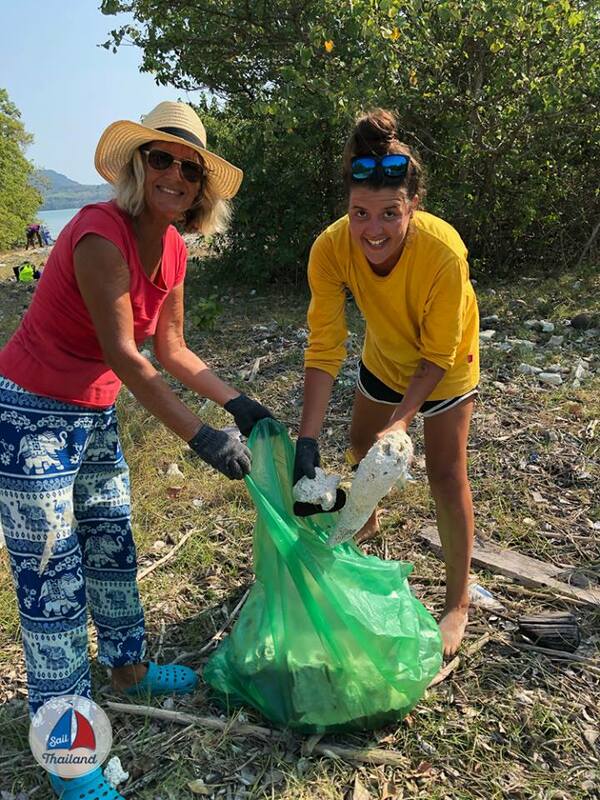 These unspoilt islands in the Andaman Sea are an area of outstanding natural beauty – yet unfortunately collecting too much styrofoam and plastic! 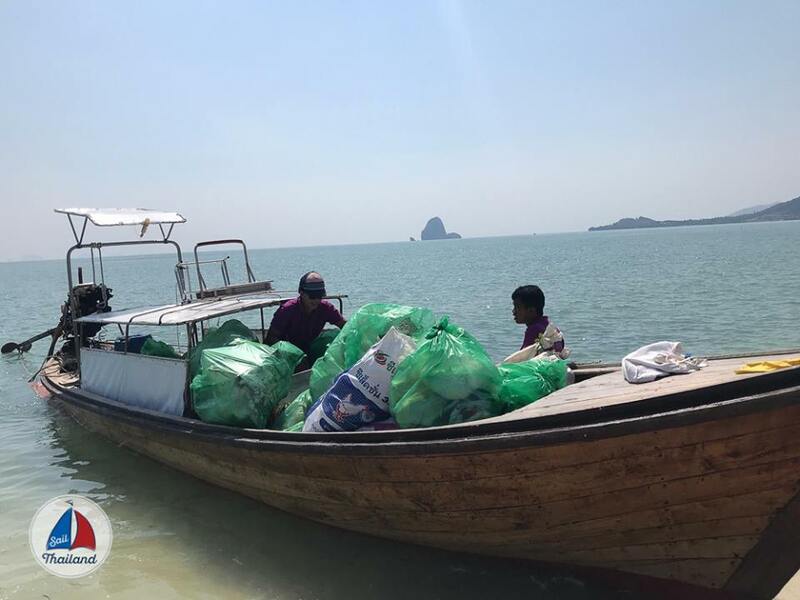 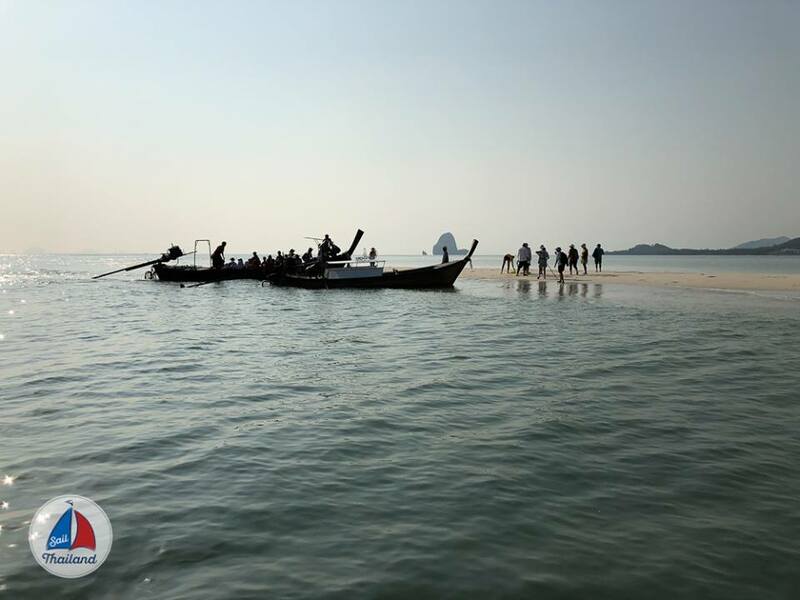 They removed lots of bags of rubbish from the beach, all loaded into Long Tail Boats organised by the local Village. 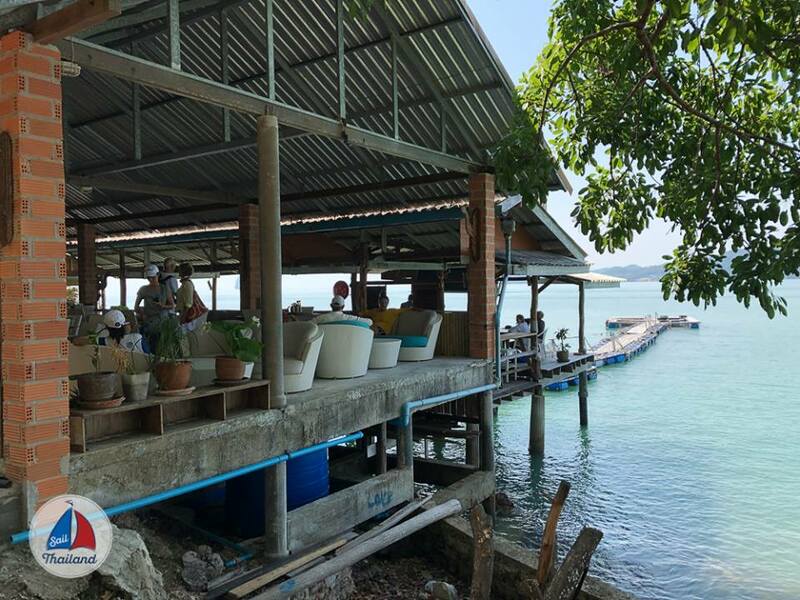 After hard work in the sun, they were welcomed to coffee and local sweets wrapped in banana leaves by the fishermans families! 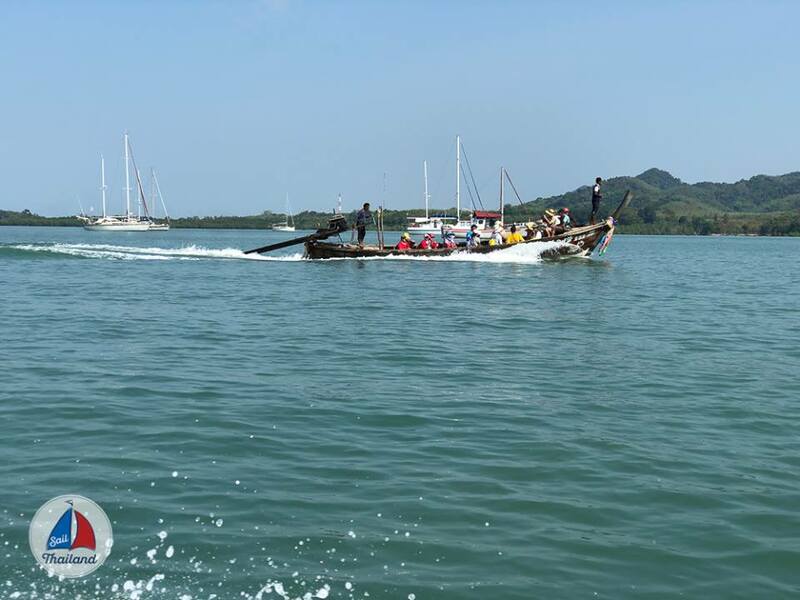 Asia is becoming an increasingly attractive yachting destination. 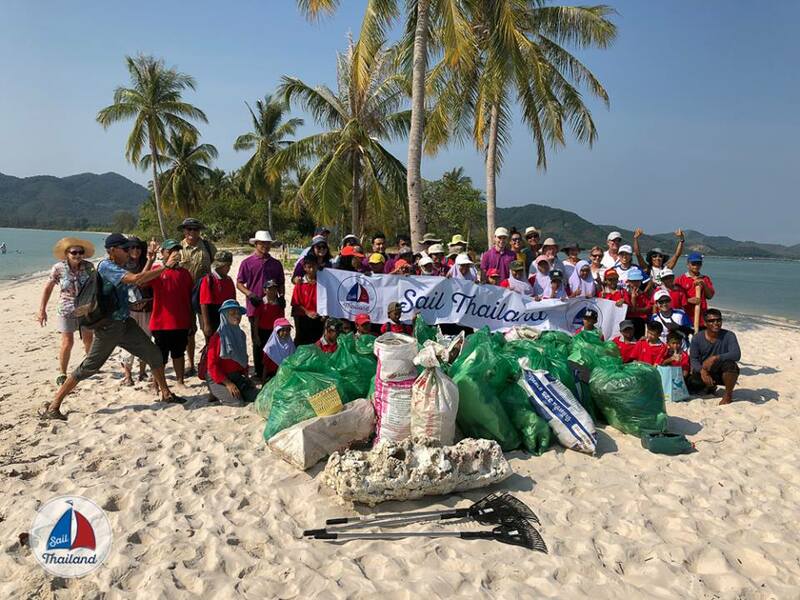 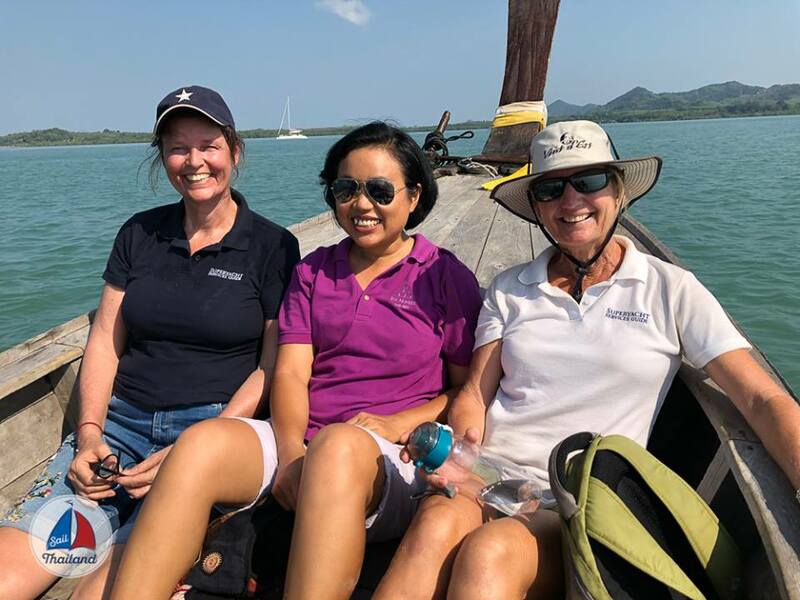 Superyacht Services Guide supports sustainable tourism development and destination marketing for Asia’s cruising destinations and is therefore a Partner in the annual Sail Thailand Rally. 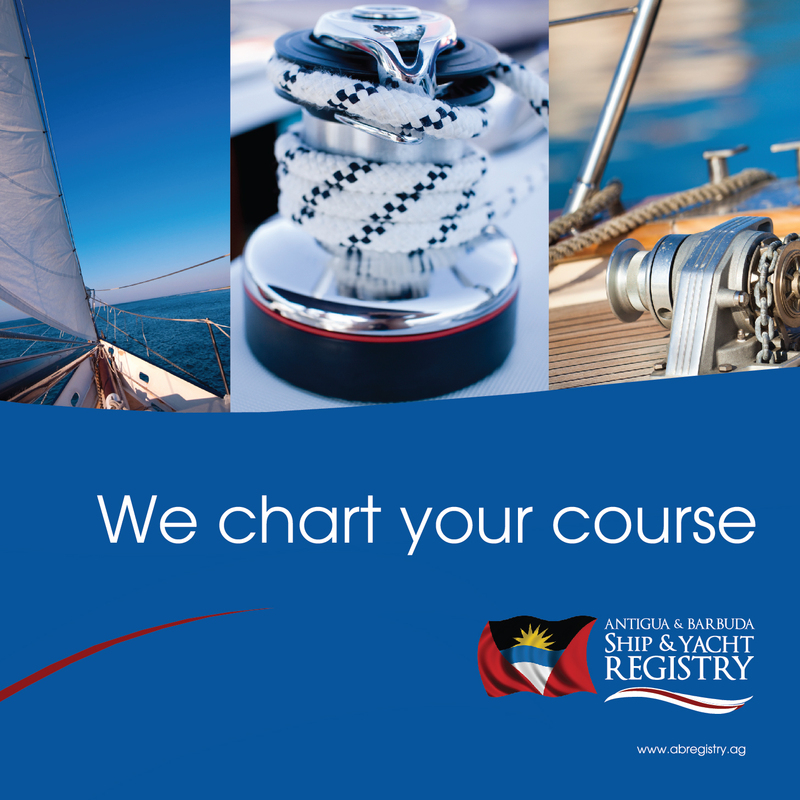 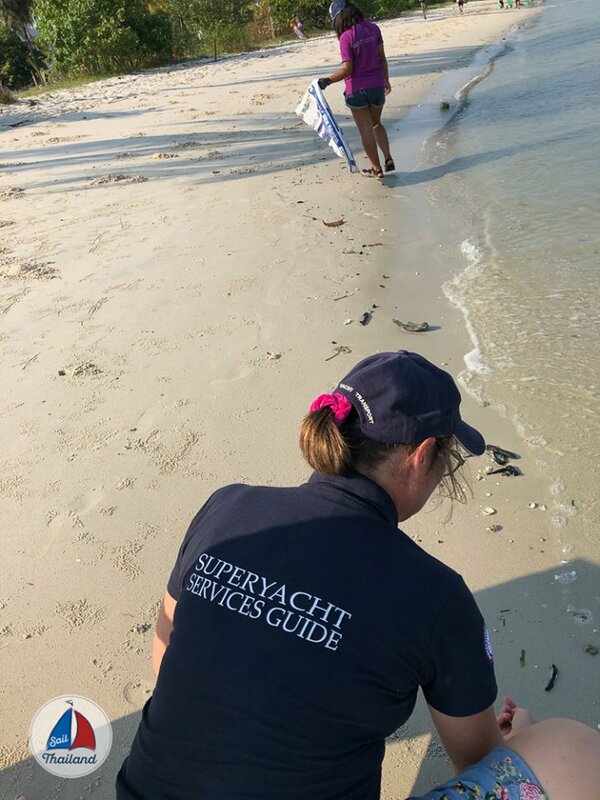 Superyacht Services Guide’s authors Zara Tremlett and Marieke Derks are working hard on growing the RECOMMENDED SERVICES in the Asia section of the Superyacht Services Guides.